Hello, I’m George Liu of DIO’s Programme and Projects Delivery team. One project I’m currently working on is the relocation of a modular building from Aldershot to Thorney Island near Chichester in West Sussex. The move is on behalf of 16 Regiment Royal Artillery. They are based at Baker Barracks on Thorney Island but have two batteries at another barracks in North Luffenham. In order to allow these two additional batteries to join the rest of the Regiment, we’re moving a modular office building known as Laffan House to Thorney Island. Laffan House before its removal. This extra space will allow the batteries to move to join their colleagues. Clearly it was less than ideal to have the Regiment split up in this way so they’re really pleased that they will all be on one site again for the first time since 2014. Moving Laffan House was identified as the preferred solution to the lack of space at Thorney Island for several reasons. It was no longer needed in Aldershot and because it is modular, we can remove it and transport it to Thorney Island considerably more cheaply than we could construct a new building. It’s also a lot quicker and vastly more environmentally friendly. Rollalong Ltd, which built Laffan House, was given the contract to carry out the move. 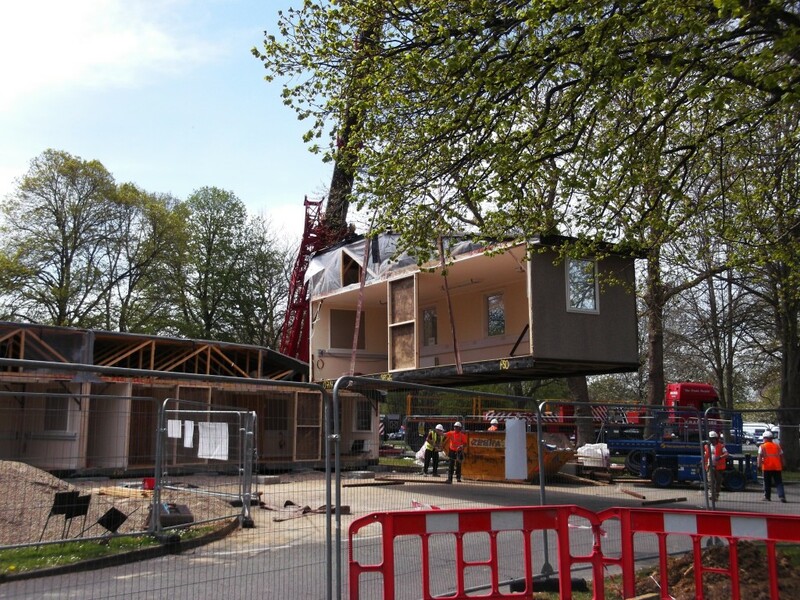 The building was separated into 26 different modules, each weighing seven tonnes, and last week they were loaded onto trucks using a 20 tonne crane. 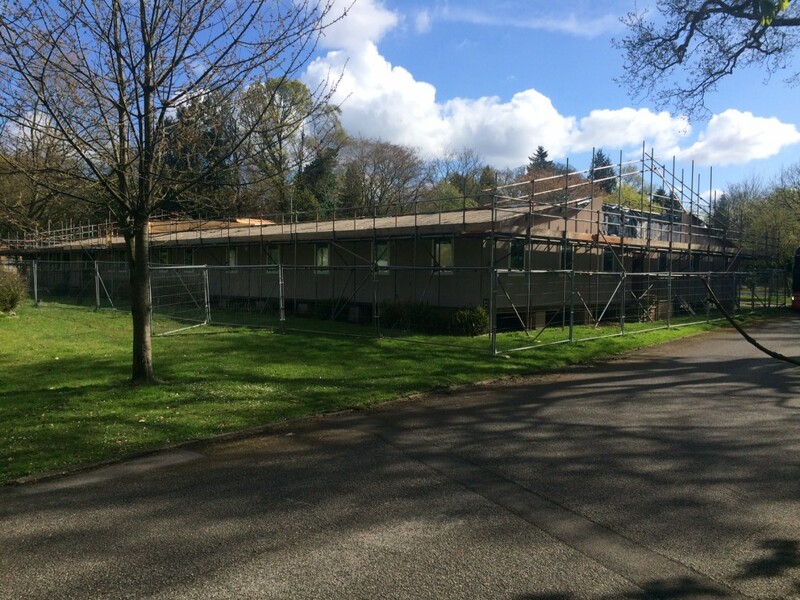 The process of getting it ready for its new occupants is expected to last until July. That includes ‘installing’ it at the new site as well as some refurbishment. We’ve had to be sensitive to the planning requirements as Thorney Island is a Site of Special Scientific Interest, which brings certain restrictions and rules. To overcome those, we’ve worked closely with Chichester District Council and the Chichester Harbour Conservancy. As a result, we were granted planning consent quickly which means we can get right to work. The project and relocation of 16 Regiment Royal Artillery to Thorney Island is Army Basing Programme. Once it’s ready, the newly-relocated Laffan House should last for several decades so it really was the best and most sustainable choice to reuse an existing building rather than constructing something new.